Seeing the sun after those four months of constant darkness was an instant energiser. I got a new understanding of its power and why it holds such an important place in many cultures across the world and the ages. It really is a life-giver, and there in Antarctica we surely and very practically felt that. 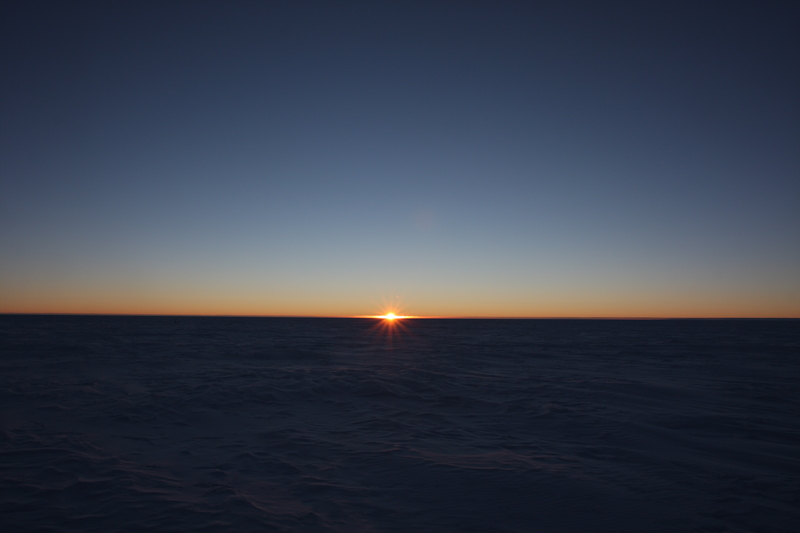 The transition period between 24 hours of “night” and 24 hours of “day” gave rise to stunning pink and blue horizons. Although temperatures were still as cold as during winter, with this new light everything felt warmer and brighter. With the light, the mood was almost instantly improved throughout the crew and everyone looked happier. Cohesion among the crew members quickly improved. Our chef Luca Ficara made a sun cake and the whole crew toasted the arrival of the sun together. My appetite and sleep pattern problems were also quickly resolved. With the light, the mood was almost instantly improved throughout the crew and everyone looked happier. I now had all the data for the winter experiments. I could, with relief, look back at the level of participation achieved. 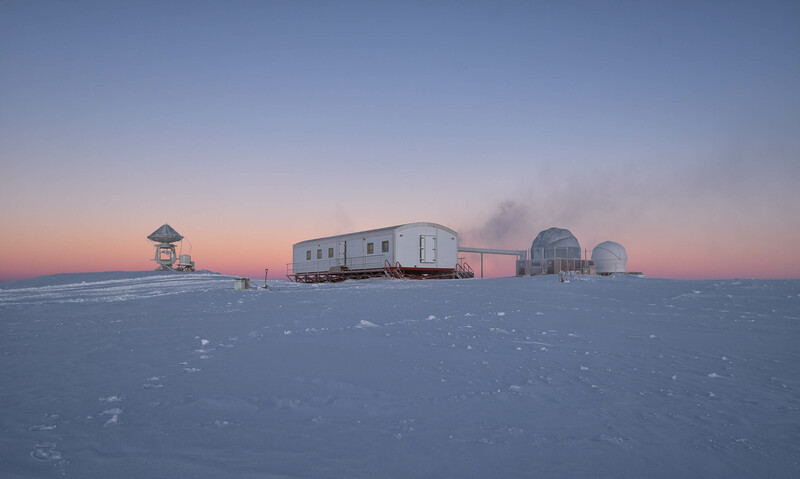 It turned out to be among the best for any ESA science experiments at Concordia, which felt like a personal achievement. It had not always been easy to stay fully calm and accommodating when mood was low and crew members showed less and less interest in taking part. But the coming of summer was also a sad time as I realised that I would soon have to say farewell to the people I had become close to. During all this time at Concordia I had taken many things for granted, but now change was upon us again. 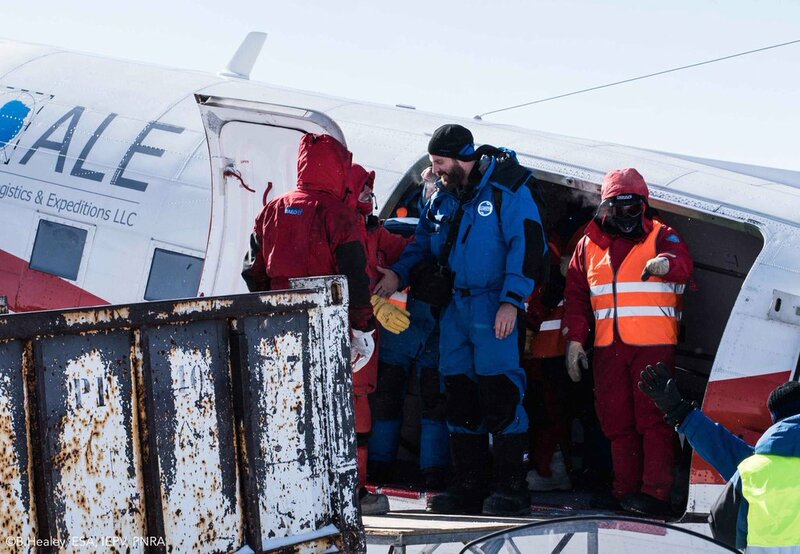 It was a special feeling to see the first plane finally arrive, marking the end of our isolation. It was great to see new people again, in particular as this was a smooth transition. Most people on the plane were friends from the previous summer and only a few were new faces. As the summer continued more and more people arrived and the faces on each plane became less familiar. This gradually enabled me to get used to interacting with different people once again. Some of our winter crew left during this time. Some goodbyes were difficult, but in some cases it was a relief, not because we had fallen out, but because the close contact had put a strain also on good relationships I wanted to keep. It was a busy time too. There were lots of materials and samples to pack as well as plenty to unload and assemble. The next ESA medical doctor to spend the winter here arrived, Floris van den Berg. I helped him with the preparations for the coming winter and passed on my advice, thinking back to what I would have liked to have known as newcomer. It suddenly struck me how much things had changed – how I had changed. The new arrivals watched me differently. In their eyes I was one of the select group of experienced overwinterers and they were asking me for guidance and what to expect. I suddenly found myself in a teaching position and did my best to answer their questions. It suddenly struck me how much things had changed – how I had changed. In fact I was now in a position where I could, very practically, help enable the coming winter to be another successful stay. As a newcomer I had been dependent on the people present and many preparations that had taken place. It now felt appropriate that I contribute my share for the incoming winter crew. The major part of this was an opportunity for me to participate in the coming overland traverse that would resupply Concordia for next winter. 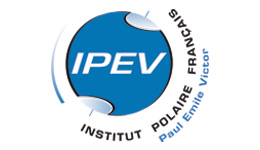 This snow tractor caravan travels 1300 km from the French station Cap Prud’Homme at the coast. 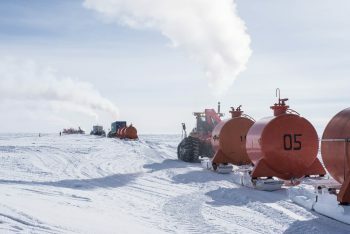 Twice during the summer, the tractors haul many trailers carrying food, fuel, scientific equipment and personal belongings for the overwintering crew. Without the traverse, there would be no winter crew at Concordia and no scientific experiments like we had performed. My “ticket to drive” in the traverse was as part of the “BacFinder” experiment. 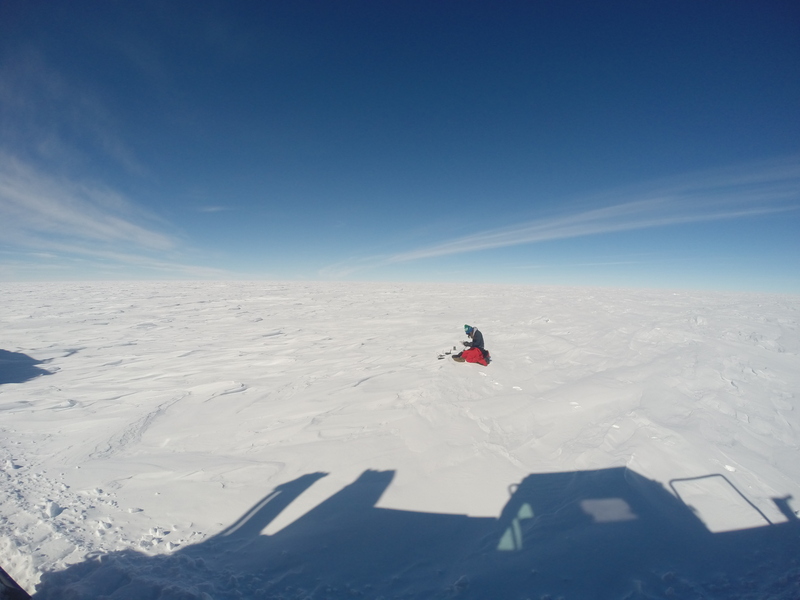 Taking snow samples along the route to find bacteria would make it possible to see if there was any change as we moved from the warmer climates at the coast and inland on the ice plateau to Concordia. 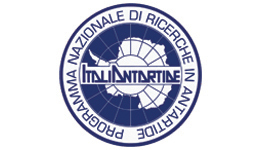 Taking part would however prolong my mission in Antarctica by another month. Although I did ask myself if I was crazy, I did not hesitate to accept. I was not ready to leave yet. 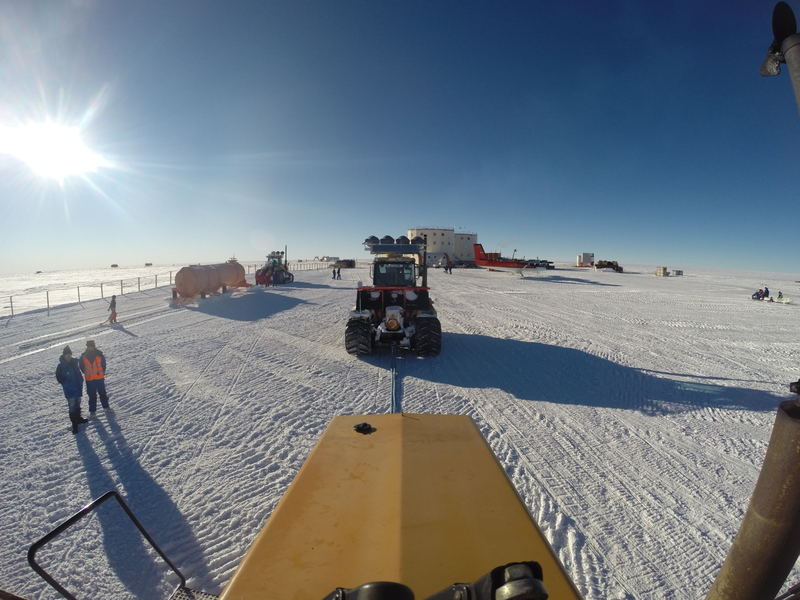 Antarctica was still too fascinating, there was still so much to experience. This felt like a natural continuation of my winter stay at Concordia, but also seemed like a new – and last – adventurous chapter. With my replacement arrived and winter behind us, the station was becoming a different place. It was time to move on. I feared coming back with my mission accomplished but ending up empty inside. To be honest, there was one fear surfacing as well: of the emptiness that might await me going back to my former life at home. 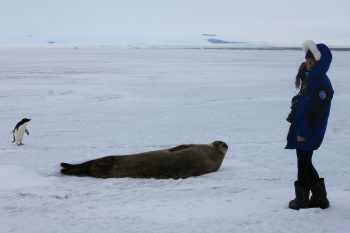 Staying in Antarctica had always been my dream. Now I would soon have fulfilled that dream – so then what? I feared coming back with my mission accomplished but ending up empty inside, demotivated about my own future. Through this adventure I was indeed living life to its fullest, but how could I continue once I went back home? I had been so intent on making a success of my mission at Concordia that now, as it neared its end, I suddenly realised I had never given a thought to what would come after. My future seemed to stretch white and empty before me much like the frozen fields I had become so familiar with. The penultimate evening was a farewell party in the EPICA tent, one of my favourite places, so very fitting for me. There was dancing, good food and reminiscing about the happenings of the winter. My final evening I spent much more quietly, packing, re-packing and nervously organising my things. On the day of departure there were lots of goodbye hugs and a certain sadness, although for me my Antarctic adventure was still not over. If all went well I would soon be back one final time at Concordia accompanying the traverse. The plane to take me out of Concordia and to the coast was ready. I was lucky to be flown by one of the pilots I had made friends with the previous summer. He had cleared a seat at the front and threw me a headset as I entered the plane. I was grateful – joining in with their conversations meant there was less time for thinking about what I was leaving behind. 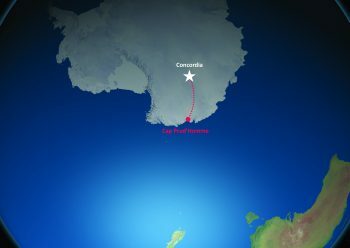 Our plane flew for several hours directly over the route I would be driving on the traverse and this made me realise how far it was going to be. What had I let myself in for? At last the familiar plateau gave way to a more varied landscape as we approached the coast. Mountains, sea and icebergs came into view. This was an emotional time for me, excitement and apprehension mixed with a sense of achievement. My short stay in the small French station Cap Prud’Homme gave me the chance to see much of the Antarctic wildlife I had dreamed of seeing for so long. There was an emperor penguin colony nearby and I even had the chance to see the babies before they left. After the long stay on the inhospitable plateau I was enchanted to discover marching penguins, the cutest seals and raucous birds. The rest of the time I spent with Patrice Godon – the man who developed the traverse and still makes sure it is improving yearly. He soon put me to work on preparing our journey. This was also the time for me to – rapidly! – start improving my French, as that was the main language on the traverse, unlike at Concordia with its mixed crews. We were driving for over twelve hours each day, sometimes longer. A learner plate was stuck to my tractor in jest and I was given some quick driving lessons. After not having even driven a car for over twelve months, a caterpillar Challenger tractor did feel like a step up. Everything was loaded and then we were off. Lots of the station crew came out to wave us goodbye as we left the coast behind once more. It was not long before we were back up on the familiar plateau of “Dome C” and on our way. The best way to describe the traverse is as a big caravan. We were a crew of twelve people driving in pairs of eight Challenger tractors hauling several sledges behind each, plus three snowploughs to make a road for us. We were driving for over twelve hours each day, sometimes longer. 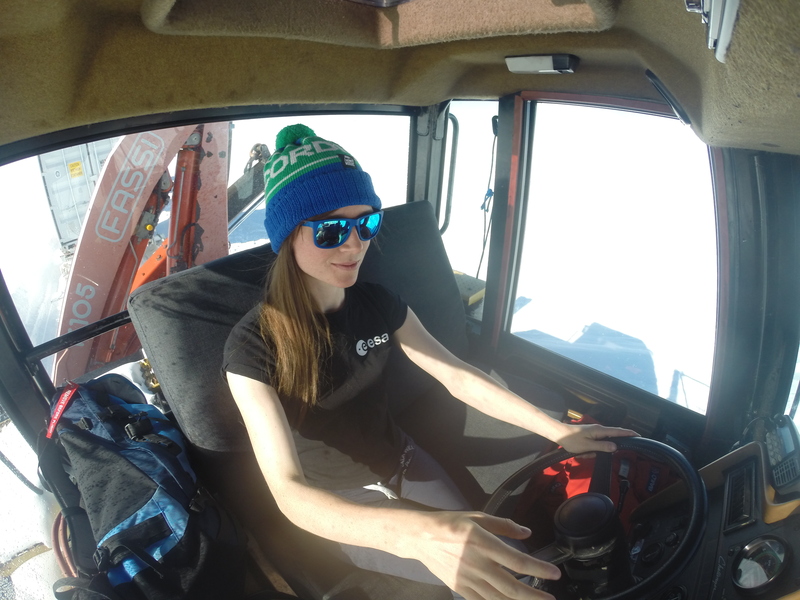 There was no room for passengers in the tractors so I was driving the whole way. We slept in bunk beds in sledge containers and all twelve of us squeezed around a small table for dinner. Morale was always high, though, and we quickly became really close as a team. What you definitely did not want to experience was a crevasse, a deep fissure in the ice. Although there were of course no roads on our way, you had to pay attention and follow in line behind the snowploughs who made a trail for us. Otherwise a sledge train could get stuck in soft snow or tip over the edge of the hard-packed trail. Frequent windstorms could limit visibility. But what you definitely did not want to experience was a crevasse, a deep fissure in the ice, of which there are a few on the Dome C traverse, but these can normally be avoided. The worst, though, would be to run dry of fuel, an occurrence from which the Dome C traverse has been spared but that happened once on a Vostok traverse decades ago, leading to the death by starvation of all involved. 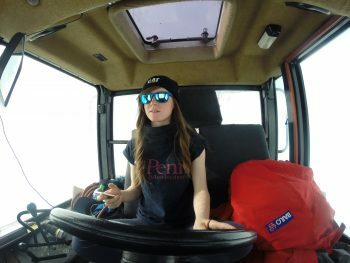 With a crew even smaller than the past winter’s, the thought struck me that I had effectively chosen to do another isolation experiment, this time under even more challenging physical conditions. Like I had not had enough the first time … but this time was different, and not only because the duration was much shorter. Even though I spent most of the day driving alone, with only my iPod for company, I felt much less lonely than I had during the winter. I found a new calm during those many hours of driving. 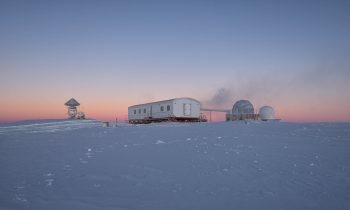 At Concordia I had felt that the station was too big for the winter crew, who rattled around the building that had held up to 65 people in the summer. Sharing a container bedroom with four people every night on the traverse was another story entirely. I realised that I was probably the first person to ever have walked in that particular spot. 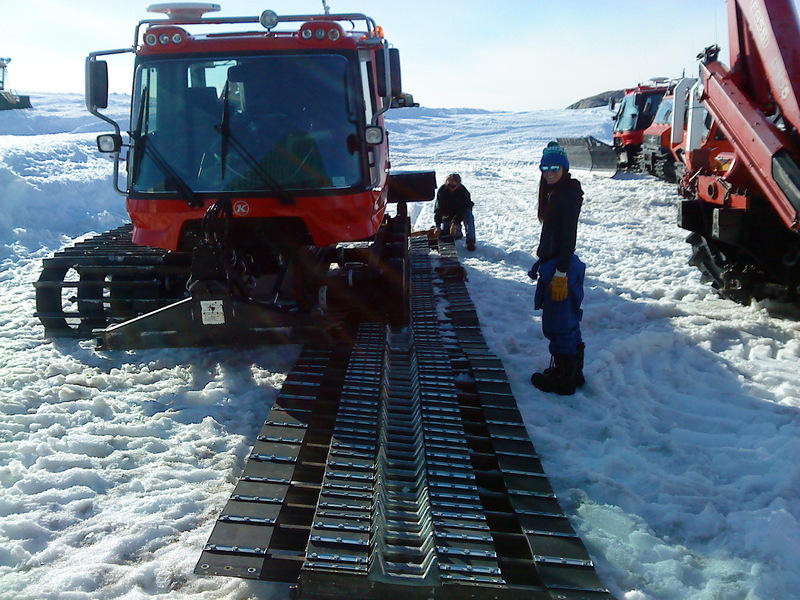 Taking snow samples for the “BacFinder” experiment turned out to be a real challenge. Having carried out the Concordia part of this experiment successfully, I now faced the risk of not getting all the data from the traverse. As we were under mounting pressure to drive both faster and for longer hours to make up for a certain delay, I had to fit the sampling in an already fully packed working day. This meant I had to squeeze it in during our stops for lunch and dinner as best I could. As I walked just a short distance from our track to take samples, I realised that I was probably the first person to ever have walked in that particular spot. It was a truly pristine environment that I was accessing. Some days it all felt surreal. I looked out my tractor window, while listening to songs I associated with nights out in London, to see our caravan in brilliant sunshine slowly advancing over an otherwise untouched snowscape. Surprisingly enough I felt that we were even more in a world of our own than I had felt at Concordia. I think, because we were all focussed on one common goal: to reach Concordia respecting our tight schedule. We also had even more limited access to communications with the outside world. The constantly challenging situation being on the move meant that all other demands of “normal life” were for the moment irrelevant. This was strangely liberating. We celebrated Christmas and New Year on the traverse with our little group. I gave everyone a Christmas decoration, which was dutifully hung in each one’s tractor. Although away from my family, I did not feel alone this Christmas. And it was a white Christmas indeed! The journey did not pass without problems however. Loads came off the track and parts broke. Despite our daily twelve hours of driving, our schedule was slipping further behind. We were now at risk of arriving too late at Concordia for me to catch my flight back. For me there were plenty of things to deal with and much to learn. Already on day one I had found myself refitting a caterpillar track to one of the snowploughs, and then having to describe the intervention in French. But the team always kept their cool and dealt with any problem without hesitation. More than anything, this journey made me realise how far Concordia is from anything. After twelve days of driving in nothingness we finally caught a glimpse of the “American tower” just cutting the horizon. As we drew closer the two towers of Concordia came into view and I realised that our journey was ending. Just as we approached, the Twin Otter plane which would be taking me to the coast the following day came in to land, roaring above our heads. I thought we had made it all the way in time, but then the rope keeping the trailers connected to my tractor snapped. The whole caravan had to stop. Refusing defeat when we were so close, I jumped out of my tractor and got to work fixing it. With some help from my crewmates we refastened the trailers. We could finally restart and make our approach. There was much cheering over the radio, as people had been worried I would miss my flight back. 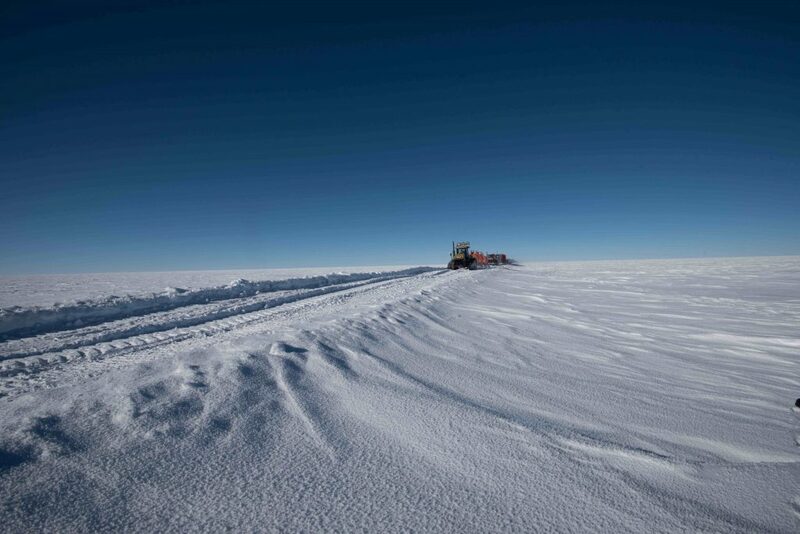 As we drove in, the Concordia summer crew lined the track and drove along with us on skidoos. It felt as if we had joined a carnival as we looked out of our tractors and waved to the crowd. My focus however was on not running anyone over. I was not used to pedestrians!